Field Notes is a company that makes great notebooks, and they’ve always added a bit of a more personal touch to things. One of the ways they did that was by having branded pens and rubber bands readily available (I believe at some point in their orders, single pens and rubber bands were thrown in for free, but they can be purchased in larger packs easily.) The pens aren’t very expensive and fit very well with the brand’s style just on looks, but do they perform as well as the paper? The pen is actually just a branded Bic Clic pen, which isn’t a bad thing really. 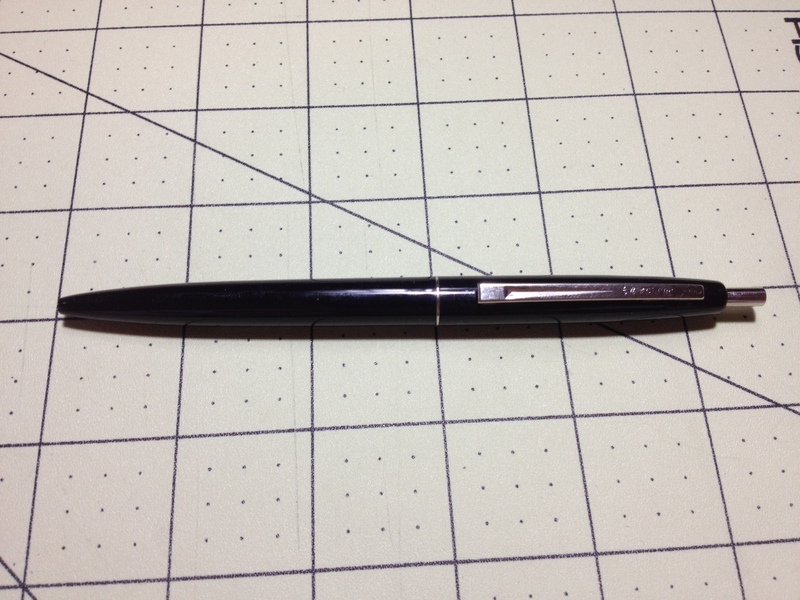 The entire design is a pleasant taper from the middle, where a ring separates the two halves of the pen. On the top there is a chrome-ish simple clip with Bic’s information on it, and a similarly-colored thin clicking mechanism (which give a very satisfying “click” when used). On the front of the pen, the ballpoint protrudes when the mechanism is depressed and the Field Notes information is printed on the barrel. The only colors of the pen are black, silver, and white, making the whole thing quite understated but also very nice. The writing is standard Bic writing. It is smooth enough, black enough, and steady enough to be serviceable in the vast majority of scenarios. It is a medium point, which is usually too broad for me, but definitely is unspectacular and fits with what most people are comfortable with. The ink is, of course, essentially waterproof once dry, with minimal skipping or blotting. I’m not particularly impressed by the writing, but I’m certainly not disappointed. I’m sure the Field Notes Company did a bunch of research to find both a good enough and inexpensive enough pen for their brand that they wouldn’t have to try to make in-house. And I think they succeeded. The pens are dependable enough, sturdy enough, and simple enough to be almost entirely unremarkable (in both a good and a bad way). 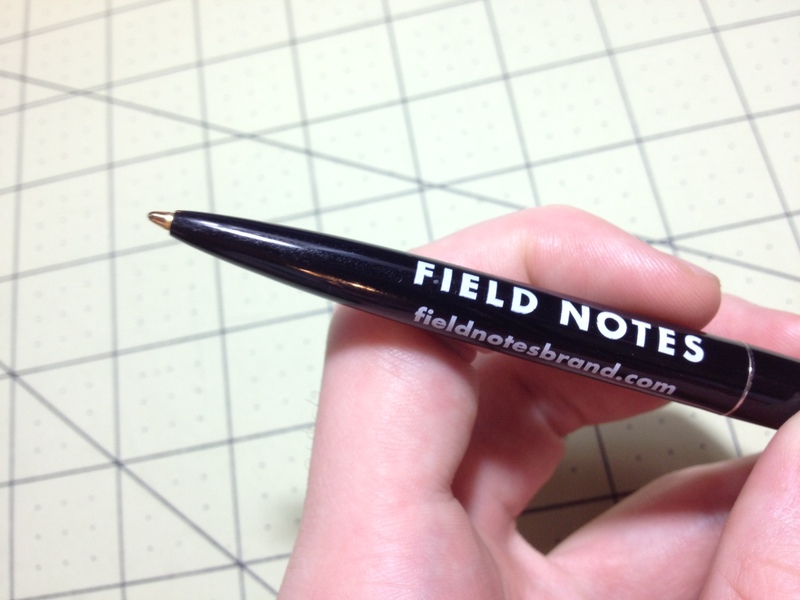 They fit the utilitarian image of the company, and are worth having at least as a backup pen. This entry was posted in Beginner Supplies, Utensils and tagged art supplies, art supply, art supply critic, bic, bic clic, bic pen, books, branded pen, field notes, field notes books, field notes brand, mini notebook, notebook, notes, pen, review, writing supplies by Dragon Co (Austin Smith). Bookmark the permalink.